In the past Sephora has not excluded their luxury lines, which means you can get some great deals. I've heard unconfirmed rumors that The Ordinary will not be included in this Spring's sale and that Drunk Elephant (an popular brand in the Asian beauty community and beyond) will be limited to 3 products. I have been purchasing more Korean/Asian beauty products through Amazon (and of course there was the huge haul Tony brought back from South Korea for me), so my VIB status fell down to Beauty Insider this year. However, with this sale I should be back up to VIB and a 15% discount for the fall sale! Creme de Le Mer - My favorite luxury beauty product. I live in a particularly expensive county in New York, which means high sales tax. But I'll take any savings I can get, and when it comes to a luxury product, 10% off is still 10% in my pocket! Drunk Elephant T.L.C. Sukari Babyfacial - I use AHA and BHA regularly, but this at home "babyfacial" sounds incredibly amazing! For a fraction of the price and time you can get a spa-like treatment right at home with all.the.acids. 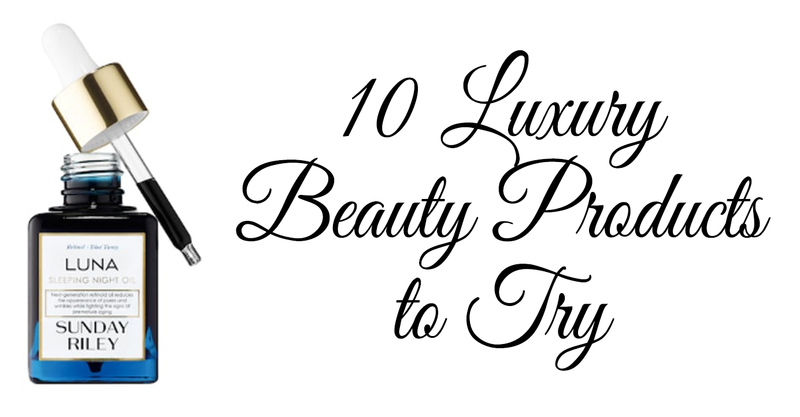 your skincare loving heart could desire! Makeup Forever Ultra HD Invisible Cover Foundation - I have been using this foundation for years and love it. It provides fantastic buildable coverage and lasts forever. Last time I tried the stick and I felt it was significantly more cakey, so I'm going back to the liquid. Tarte Tarteguard Mineral Powder Sunscreen - I have to be honest, I have NO idea if this works, but I am SO intrigued! I always put sunscreen on before applying makeup, but being very fair skinned, I usually need to reapply. Trying to do so over makeup is always a challenge. Have I finally found a solution!? L'Occitane Shea Cleansing Oil - I've posted before about how much I love this cleansing oil. It's one of my favorites and the scent makes it feel so luxurious. Fresh Sugar Cream Lip Treatment - Fresh is one of my favorite brands and I love all their color. I'm so happy that they have revived and refreshed their line of lip products to include more color. Yves Saint Laurent Top Secrets All-In-One BB Cream Skintone Corrector - This has been my favorite BB Cream for the last 5 years or so, but it has been sold out in my color (clear) at Sephora for a while now. I'm hoping it will be available again some time soon. Dr. Jart+ Firm Lover Rubber Mask - I've been really upping my sheet mask game lately and have been using them every other night and loving the changes this has made. I'm super curious to try one of the Dr. Jart+ rubber masks and see if they're worth the hype (and price tag). Sunday Riley Luna Sleeping Oil - People have been raving about this oil ever since it became available. I've heard of a few people trying to DIY it, but when you factor in the costs of the individual ingredients, it gets real expensive, real fast. I think for now I'll leave it to the professionals! Alterna Caviar Repair RX Instant Recovery Conditioner - The entire Alterna Caviar line is amazing and one of the few shampoos and conditioners I've really found to be impressive. Of course, the price tag is also impressive! The silver lining to this product is that I only need about half the amount of product to do the same job.